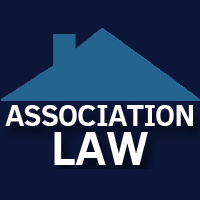 Many homeowners associations and condominium associations struggle with the manner in which a bankruptcy filing by one of its owners should impact the ledger that is maintained by the association for the property owned by the owner that files the bankruptcy case. I often see associations fail to maintain a ledger, or other account information, which will allow the association to distinguish between: (a) the amounts that came due before the filing of the owner’s bankruptcy petition (often referred to as the “Pre-Petition Amounts Due”); and (b) the amounts that came due after the filing of the owner’s bankruptcy petition (often referred to as the “Post-Petition Amounts Due”). The best way to maintain records that distinguish between the Pre-Petition Amounts Due and the Post-Petition Amounts Due is to separate a ledger for an owner that files bankruptcy into two ledger parts. One part would reflect the Pre-Petition Amounts Due and the other part would reflect the Post-Petition Amounts Due. The ledger for the Pre-Petition Amounts Due (the “Pre-Petition Ledger”) would reflect the amounts due, itemized by type of charge, as of the date of the filing of the owner’s bankruptcy petition. That ledger balance would increase, after the bankruptcy filing, by the addition of any interest charges or late fees associated with the unpaid assessments listed on the Pre-Petition Ledger and by the addition of any attorney’s fees or legal costs associated with collection efforts relating to the recovery of the Pre-Petition Amounts Due. The ledger for the Post-Petition Amounts Due (the “Post-Petition Ledger”) would include all future accruing assessments after the date of the bankruptcy filing, as well as interest charges or late fees associated with the unpaid assessments listed on the Post-Petition Ledger. That ledger would also include any attorney’s fees or legal costs associated with collection efforts relating to the recovery of the Post-Petition Amounts Due. Once the bankruptcy case ends, the owner’s split ledgers can typically be re-combined into a single ledger. It is important for an association be able to separate the Pre-Petition Amounts Due from the Post-Petition Amounts Due for a number of reasons. Several of those reasons are discussed below. First, when a payment is received for an account in which the owner is in bankruptcy, the association will need to apply it to either the Pre-Petition Amounts Due or the Post-Petition Amounts Due. The “side of the ledger” to which the payment will need to be applied will depend upon a number of factors, including whether the payment was made by the owner or the bankruptcy trustee and, in the event of a Chapter 13 filing, the manner in which the association’s claim is to be treated in the owner’s bankruptcy plan. If there is a single ledger that is maintained, there would be no clear way to distinguish the payments made toward the Pre-Petition Amounts Due from the payments made toward the Post-Petition Amounts Due. Second, in a Chapter 7 case that results in a bankruptcy discharge and in which the association did not have a recorded lien at the time of the filing of the bankruptcy petition, the association will typically need to write-off all Pre-Petition Amounts Due. That task is far easier if the association splits its ledgers or otherwise maintains records which will allow it to easily determine which amounts were included in the Pre-Petition Amounts Due. An association can continue to seek recovery of post-petition assessments from an owner who files a Chapter 7 case and obtains a bankruptcy discharge. See 11 USC §523(a)(16). However, if an association does not split its ledgers, it may find it difficult to determine the amount of post-petition assessments and other charges that can be demanded as part of the Post-Petition Amounts Due. Third, if the owner files a Chapter 13 case, he might present a bankruptcy plan that provides for payment of all Pre-Petition Amounts Due, with the payment of all Post-Petition Amounts Due being made outside of the plan. That owner might also present a plan that calls for any lien held by the association which secures the Pre-Petition Amounts Due, to be “stripped away”, with the owner remaining liable for paying all Post-Petition Amounts Due. In either instance, if there is a single ledger that is maintained, there may be no clear way to distinguish those amounts that are being claimed under the Pre-Petition Amounts Due from those amounts being claimed under the Post-Petition Amounts Due. The penalty for not maintaining accurate information can be severe. An association that seeks to recover debt that has been discharged in bankruptcy or that seeks to recover pre-petition debt (subject to limited exceptions) directly from an owner who is a debtor in an active bankruptcy case, may be liable for monetary damages and/or attorney’s fees for violating the “discharge injunction” or the “automatic stay” provisions of the Bankruptcy Code. See 11 USC §105(a), § 362(a), and §524(a). At least one bankruptcy court’s written opinion has recognized the need for an association to maintain separate accounting records to differentiate the Pre-Petition Amounts Due from the Post-Petition Amounts Due. In the case of In re Moreno, 479 B.R. 553, 567 (Bankr. E.D. Cal. 2012), the court granted sanctions against an association for its attempt to collect amounts which had been discharged in bankruptcy. In that case, the court noted: “once the Debtor filed for bankruptcy protection, the Association should have started a new and separate accounting to properly track the post-petition debt that would be covered by §523(a)(16).” The court further noted that the association’s attempt “to divide the discharged [pre-petition] portion of the Debtor’s account from the post-petition portion of her account by simply drawing a line across the Accounting [on the date of the bankruptcy filing]” did not result in a proper determination of the post-petition amounts due as that caused post-petition interest to be improperly calculated on both the unpaid pre-petition debt (which was discharged) and the unpaid post-petition debt. 479 B.R. at 567-68. An association that fails to either split its ledgers into a Pre-Petition Ledger and a Post-Petition Ledger or to take other steps to maintain separate accounting records to distinguish the Pre-Petition Amounts Due from the Post-Petition Amounts Due is likely to encounter greater difficulties in determining the amounts that are due from owners who file bankruptcy. Also, the failure to take the needed steps to maintain separate accounting records can result in an association being subject to sanctions from a bankruptcy court in the event the association seeks to collect amounts which are no longer recoverable.